Discovered by the Kepler space mission, the new planet, dubbed Kepler-22b, is the first world smaller than Neptune to be found in middle of its star's habitable zone. Also called the Goldilocks zone, the habitable zone is the region around a star where a planet's surface is not too hot and not too cold for liquid water and thus life as we know it to exist. In fact, only two known planets fit this description so far Gliese 581d ( learn more at : New planet like Earth, Gliese 581g ) and HD 85512 and both worlds orbit at the very edges of their stars' habitable zones, making them more akin to Venus and Mars than to Earth. The Kepler mission finds new worlds by simultaneously monitoring 150,000 stars for dips in brightness, which are indicative of planets passing in front of or transiting their stars. 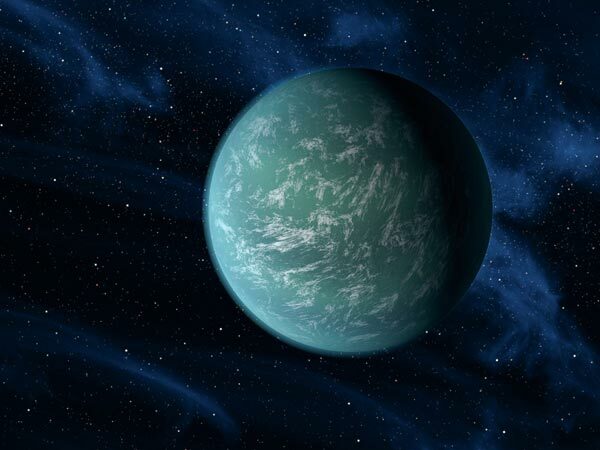 Kepler-22b was among the 54 roughly Earth-size planet candidates announced by the Kepler team in February. But the spacecraft needs to watch at least three transits to confirm that a signal is a planet.